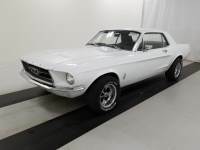 ...GET IT SHIPPED Free Auto Shipping Quote: 1967 Ford Pick up sold as is. Ready to be restored needs some TLC, No title. ... original, it has mild cracks it drives, in running condition local pick up only!!! 1967 Ford 250 Camper Special 3/4 Ton Pick Up Truck Clean NV Title!